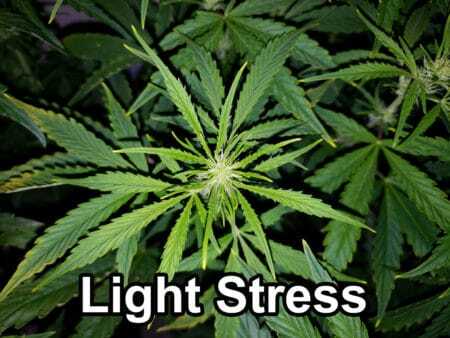 Do Your Marijuana Leaves Have Nutrient Burn? 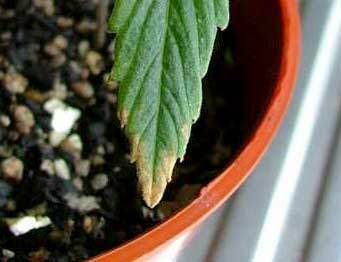 Quick Summary: Nutrient burn is one of the most common beginner cannabis growing problems. The yellow or brown leaf tips are caused by too-high levels of nutrients accumulating in the leaves. 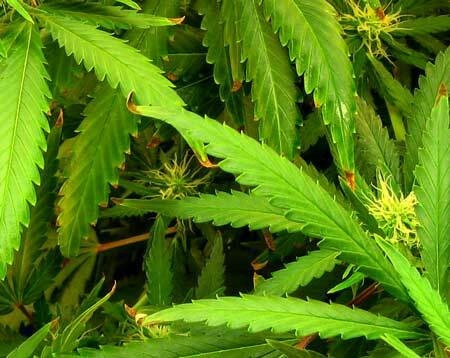 (Nutrient burn is often called “Nute Burn” in the cannabis growing community). 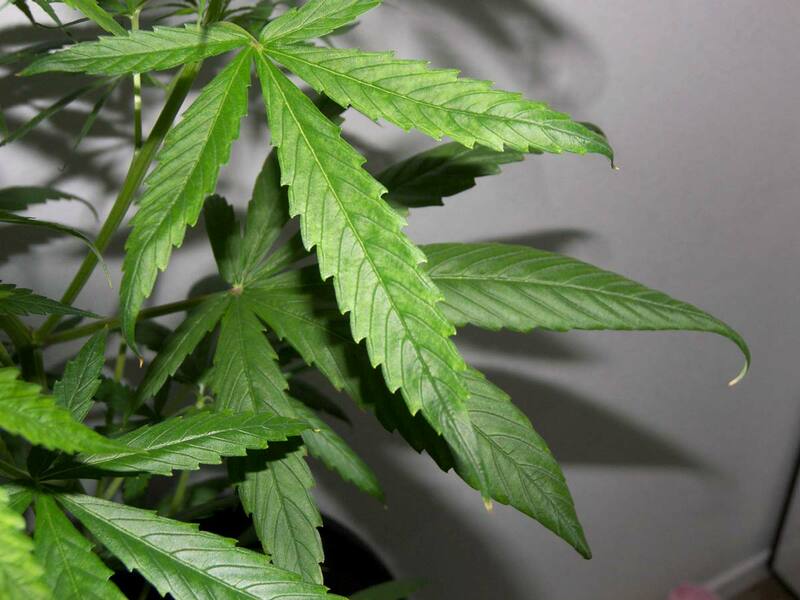 When the roots take in more nutrients than a cannabis plant can use, the overabundance causes a brown or bronze “burn” on the tips of your leaves. If nutrient levels are not lowered, the burnt tips start traveling inwards and the ends of leaves start becoming crispy and twisted. Take me straight to the solution for cannabis nute burn! 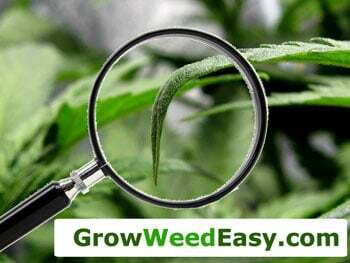 As nutrient burn progresses, the tips start getting bronze, crispy, curled and sometimes twisted. Although you can stop nutrient burn from getting worse, the burnt appearance won’t go away on the leaves that were already affected. Nutrient burn is most common when feeding cannabis too-high levels of bottled nutrients and especially chemical or mineral nutrients. This is what you’ll find in most non-organic plant food. Mineral-based nutrients can help increase cannabis growth rates and yields compared to organic-based nutrients due to the fact that these nutrients are so easily absorbed by the plant roots. The plant doesn’t have to do any “work” to get the nutrients. 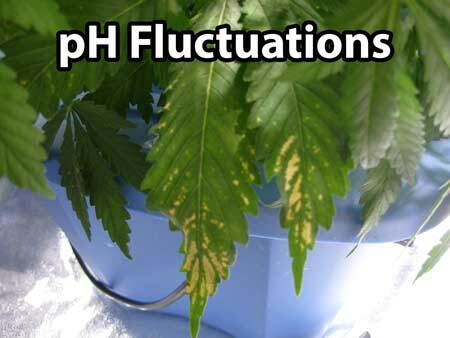 The downside is your plant can easily take in more than it can use if the nutrient levels are too high. 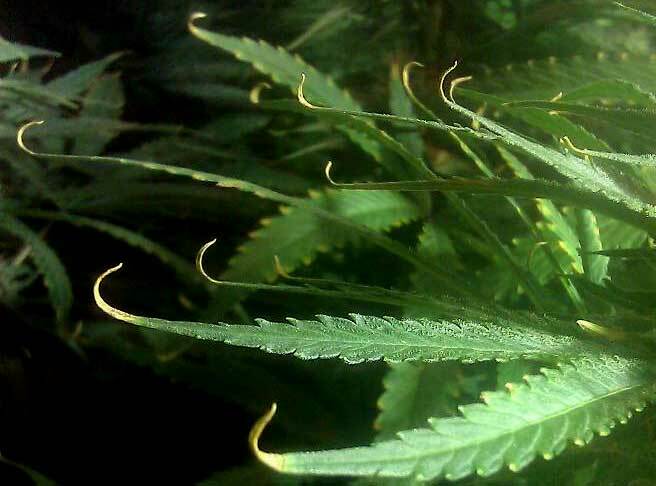 Nutrient burn affects the tips of marijuana leaves. You may just see it on one or two leaves, or it can appear all over the plant. Nutrient burn can also happen when plants or seedlings are grown directly in soil that has a high level of nutrients (a “hot” soil or growing medium) such as fresh compost, manure or a nutrient-amended soil mix. This usually happens to young seedlings, and they will “grow out of it” as they begin to use up all the nutrients in the soil, as long as more nutrients are not added. In general, plants use overall higher levels of nutrients as they get more light. Therefore plants in relatively low light conditions can get nutrient burn at lower levels of nutrient than the same plant would under bigger grow lights. Each cannabis plant is different, so you might have just one out of many plants get nutrient burn! That is completely normal. 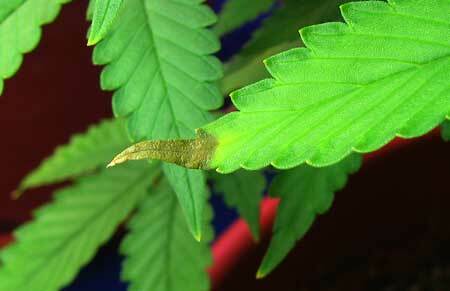 Sometimes you’ll also see nutrient burn leaf tips also curl or “claw”. The clawing can be caused by an overabundance of Nitrogen (Nitrogen Toxicity), which is common for plants that are experiencing nutrient burn from overall high levels of nutrients. 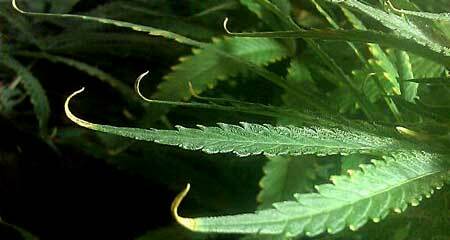 Problem: You will notice the tips of your marijuana leaves showing the first signs of nutrient burn by turning yellow, tan, gold or brown. 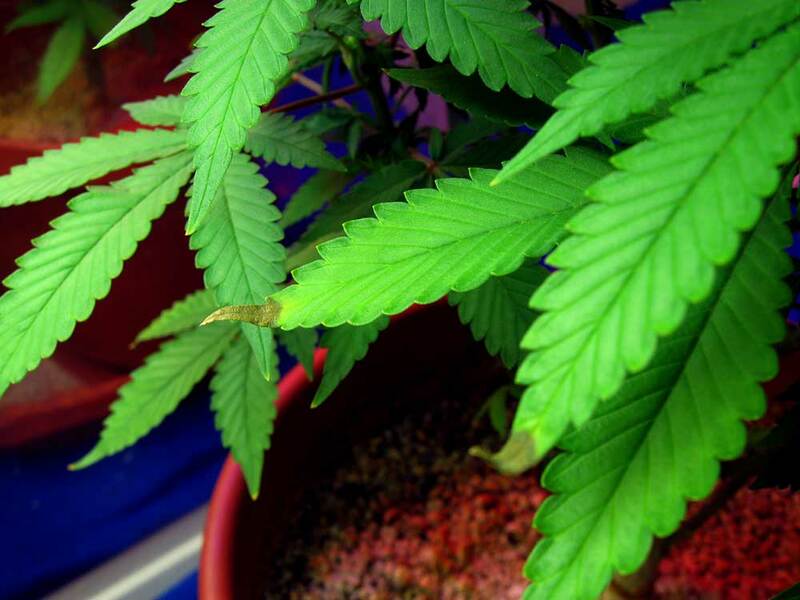 A light case of nutrient burn will only affect the tips of your leaves. The yellow tips will eventually turn rusty brown and crispy. 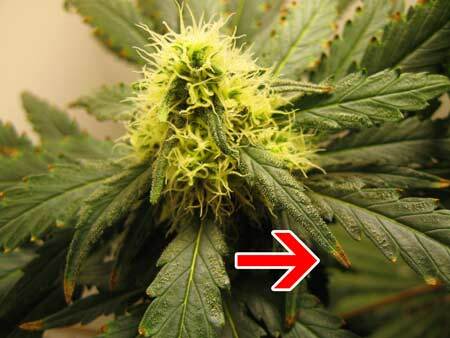 If you do not correct the problem, you may also notice the burn slowly spreading from the tips to the whole leaf. At this point, if you haven’t done so already, you should immediately treat your plant (directions below) before there’s more damage. Nutrient burn can also manifest itself as brown or bronze spotting around the edges of the leaf serrations (often when there’s a problem with proper absorption of potassium), or with leaf tips curling downwards (tips pointing down is often associated with too much nitrogen). These Are NOT Nutrient Burn! This is actually a Potassium Deficiency, not nutrient burn! I have heard some growers say that a little nutrient burn is actually a good thing, because it means that you are giving your plant the highest level of nutrients it can use. A lot of growers have the mistaken idea that nutrients are somehow “food” for your cannabis plants, and so more food = more energy = bigger yields. This is wrong, instead nutrients are more like a multi-vitamin for your plant. Just like you can’t give a child 10 multivitamins a day to make them grow faster, you can’t give your plants 10x the regular does of nutrients and expect anything good to happen. 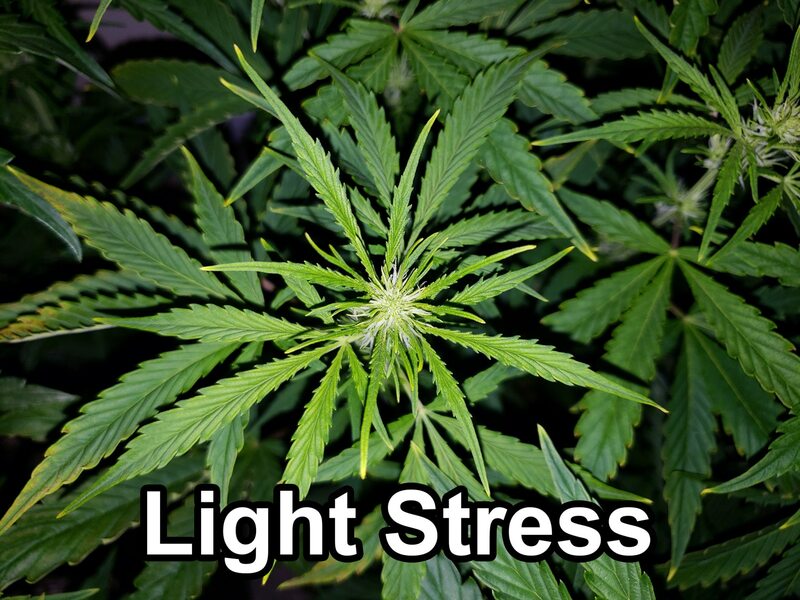 The real “food” for your plant is light. Your plant produces energy from light through a process known as photosynthesis, which is most effective when the plant has healthy green leaves. 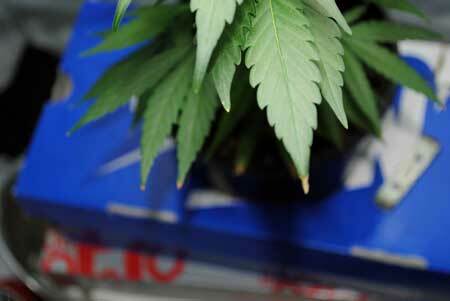 Learn what yields to expect based on the type of grow light you have! Your leaves are like solar panels, and the energy produced by the leaves is used as energy for the whole plant. You need the leaves to be in tip-top shape to get the most energy from the lights, so your plant has plenty of energy to grow and produce buds. Therefore, the biggest problem with nutrient burn is the fact that you are losing leaf mass and overall leaf robustness on your cannabis plant. A little nute burn won’t slow down your plants much, if at all, but if nute burn is left out of control, you will begin to lose serious leaf mass and it will dramatically slow down plant growth and reduce your overall yields. 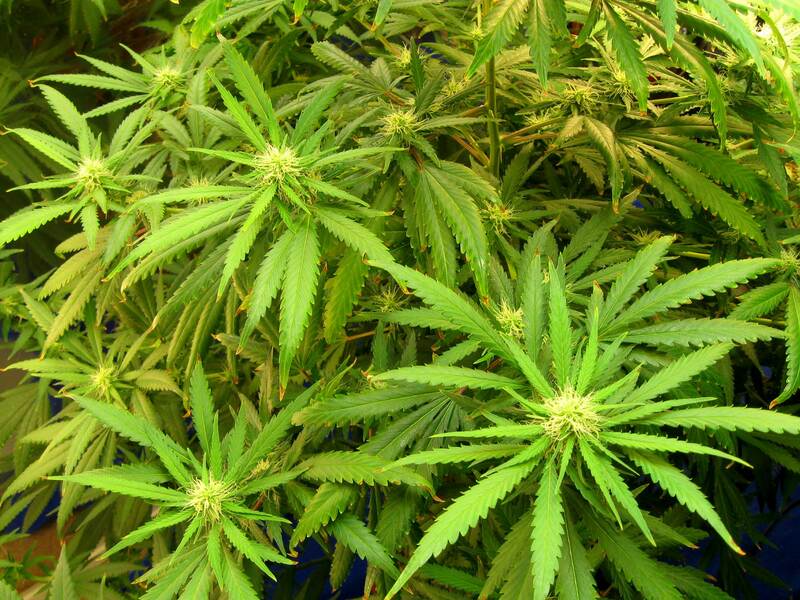 Cannabis plants spend the beginning part of their life in the vegetative stage. When cannabis plants enter the second part of their life, the flowering stage, they stop focusing on making leaves and stems, and put all their focus on making buds/flowers. The flowering stage is the most vulnerable stage for cannabis plants, because they don’t have much ability to bounce back from any problems. The further you get into the flowering stage (and the closer you get to harvest), the less likely the plant will replace a leaf that is damaged or dies. By the time harvest is around the corner, your plant basically stops making any effort to recover from leaf damage, and its complete focus is on fattening buds. That’s why budding cannabis plants need extra care to thrive – in the flowering stage, a little bit of nutrient burn will probably be okay, but too much nutrient burn can seriously hurt yields because the plant will not be able to recover. 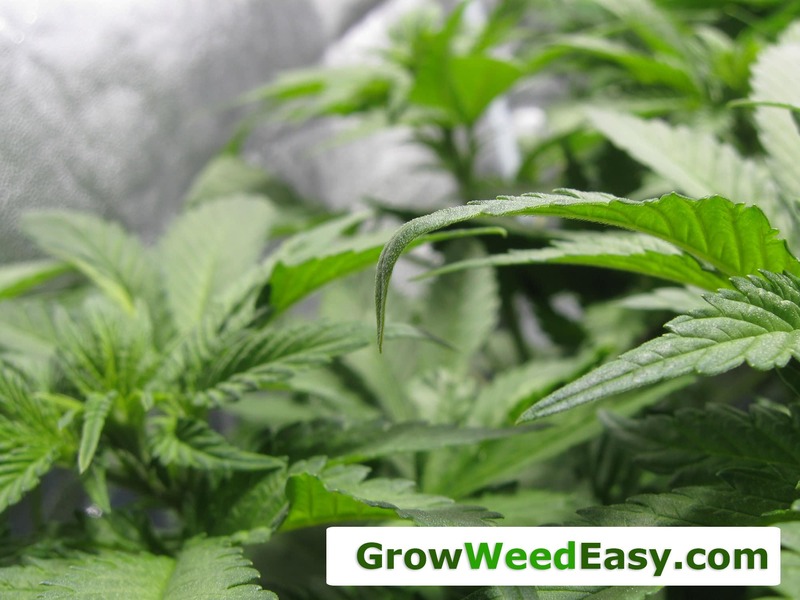 If you are adding nutrients to your water, it can be very easy to burn your plants in the flowering stage (even with nutrient levels it was fine with before) as different strains have different needs throughout budding. If you are using bottled nutrients – Most people who get nute burn are feeding their plants extra nutrients in the water. First off, make sure you are using a quality set of nutrients that has been specifically designed for cannabis plants. Any nutrient system designed for plants like a tomato will also work in a pinch. Also make sure you are feeding nutrients for the right growth stage – for example, all cannabis nutrient systems have you feed different nutrients for the vegetative and flowering stage. If you are feeding the wrong type of nutrients for the stage your plant is in, that is an easy way to give your plants lots of nutrient problems including nutrient burn. 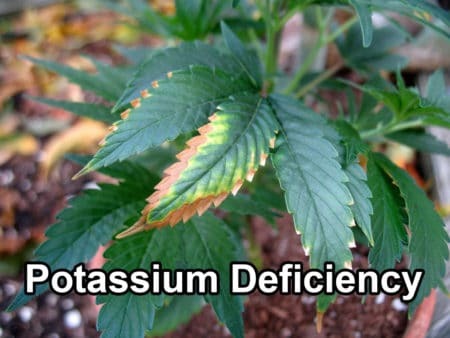 If you are using the wrong type of nutrients for a plant like cannabis, you will eventually run into nutrient problems, one way or another. Many nutrient systems come with instructions to feed your plant more nutrients than most plants actually need. It’s good business for the nutrient companies if you use more nutrients. However, in my experience it’s a good idea to view the feeding charts that come with any nutrient system as the maximum amount of nutrients and actually start with much lower levels. I tend to start with half the recommended amount, and slowly work my way up only if needed. Hand-watered system – If you are growing in a handwatered system (like in soil or coco coir), flush your system with plain, pH’ed water if you notice the first signs of nutrient burn. (Learn about pH). 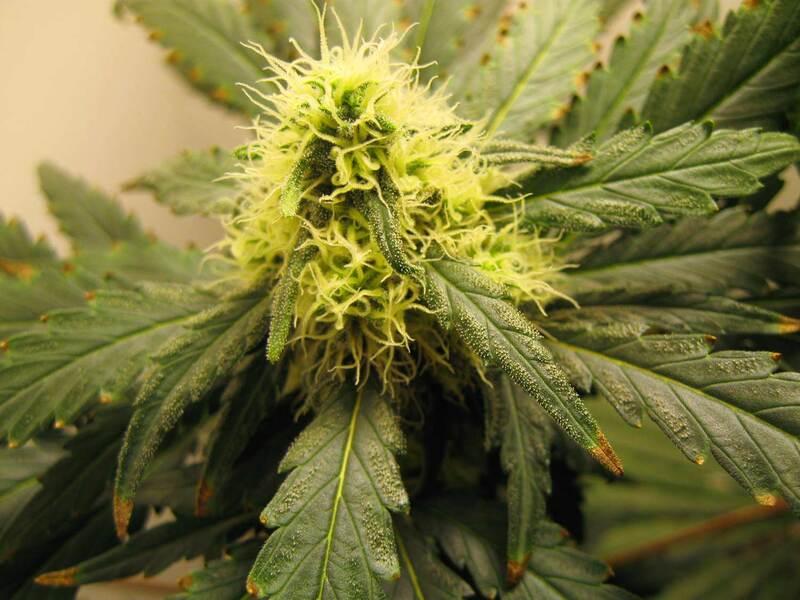 If you are not adding any extra nutrients in your grow, then you simply need to wait until the plant uses all the excess nutrients in the soil – after the nutes have been used up, the plant will naturally get over the nute burn (old leaves won’t recover, but leaves should no longer be getting new brown or burnt tips). Hydro system – Reduce the overall levels of nutrients in your water reservoir by either adding plain pH’ed water to dilute the water, or you could also mix up a new set of nutrients (at lower levels) and completely change the water. Be careful not to make big changes too fast, it’s better to go relatively slowly in hydro. 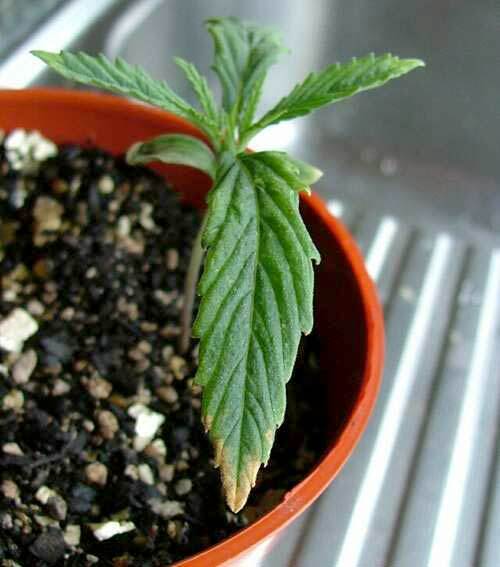 In hydro, once you change the water and lower the nutrient levels to an appropriate level, you should immediately notice the nutrient burn stop spreading. Old leaves won’t recover, but you shouldn’t notice any leaves getting worse. If you don’t have a TDS meter to measure the levels of nutrients (and other extra stuff) in your water, I would normally start your plants with a fraction (perhaps 1/2) of the nutrients you were giving them before – and then work your way up to higher nutrient levels only if you notice the lower leaves are starting to yellow too quickly (nitrogen deficiency). Even then, try to move up nutrient levels as slowly as you can. If you lose leaves to a nitrogen deficiency from slightly too-low nutrient levels, you will lose a few of the least important lower leaves. But if you raise nutrient levels to fast and get nutrient burn, all the leaves on the whole plant will be affected and never recover fully. One of the things that can be frustrating about hydro is that different plants or strains will be okay with different amounts of nutrients. You can be giving 2 plants the exact same levels of nutrients, and one might get nutrient burn while the other plant is getting a deficiency at the same level. This is because different plants absorb the nutrients at different rates. Luckily, there is an awesome tool to make this much easier in hydro. In hydro, it is very helpful to get a tool called a TDS meter to help you regulate the amount of nutrients in your water. A TDS meter will be able to tell you how much “stuff” is in the water, and whether the levels of nutrients are getting higher or lower each time you check. You can test your reservoir at any time to see if the levels of nutrients are rising, so you’ll be able to stop nutrient burn before it even affects your plants. I use the HM Digital AP-1 TDS meter. To find out more about using a TDS meter to measure nutrients in your water, check out our article: PPM: What It Is and How To Track It. Are the ends of leaves curling like a claw or pointing down like talons? If your plant is experiencing “the claw” and not just normal drooping like from underwatering or overwatering, then you may have a nitrogen toxicity (too much nitrogen). Nitrogen toxicity is relatively common with plants experiencing nutrient burn. If you want to learn ALL the secrets… Learn from the best!